One of the exciting announcements at Automate 2013 is also one of the smallest. Gumstix, providers of Linux computers-on-modules (COMs) are offering ROS on a stick. For $45, Gumstix provide a bootable microSD card with ROS preloaded, joining their Overo range of expansion boards for iCreate and similar platforms. ROS in COM format responds to the rapid growth in Ubuntu systems powering robotic devices, as evidenced by the growing number of public ROS repositories, with more than 175 to date. 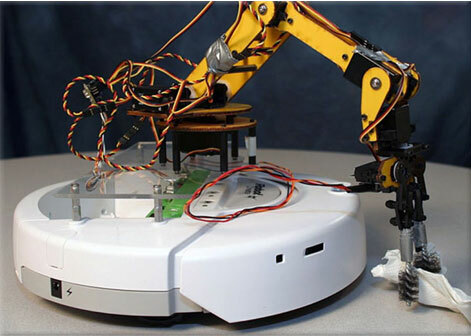 New offerings from Gumstix will really speed up the development of small robotic devices. See also Frank Tobe’s wrap up of all the robots at Automate 2013.